Soft-drinks maker Coca-Cola Amatil (CCA) and premium spirits company Beam Suntory have extended their business relationship with the establishment of a new distribution partnership in New Zealand. The new 10-year deal – which commences on 1 October 2015 – will see CCA sell and distribute the Beam Suntory spirits portfolio in New Zealand, making the company one of the largest distributors of beverages in the country. 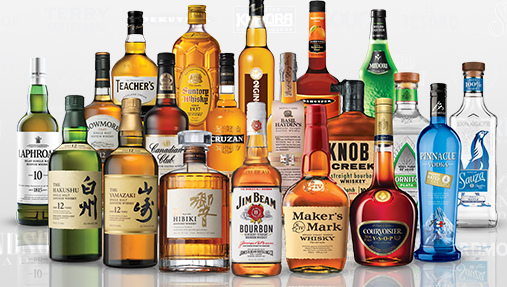 CCA will sell and distribute Beam Suntory’s top-selling Jim Beam Bourbon, Canadian Club, Midori liqueur and its Japanese whiskies, and will also be responsible for the manufacture, sales and distribution of the company’s ready-to-drink (RTD) spirits portfolio. According to the press release by CCA, the new agreement will fully integrate the Beam Suntory spirits and spirit-based RTD range alongside CCA’s existing NZ beer and cider portfolio. As part of the agreement, Beam Suntory sales team members will transfer to CCA, while marketing, supply chain and other functions will remain part of Beam Suntory New Zealand. “The agreement signifies a very exciting step in the long-term partnership between CCA and Beam Suntory. As well as further strengthening CCA’s New Zealand alcohol portfolio, our new agreement deepens the relationship between our two companies, locally and across Australia and The Pacific,” said CCA New Zealand Managing Director Chris Litchfield. Beam Suntory Interim Oceania Managing Director Peter Gunning described the new agreement as “an exciting development” for the company. “The combination of commercial, innovation and manufacturing expertise, plus CCANZ’s customer base, will help us to lead the market in the RTD category by discovering new ways for consumers to enjoy our brands,” Mr Gunning said.